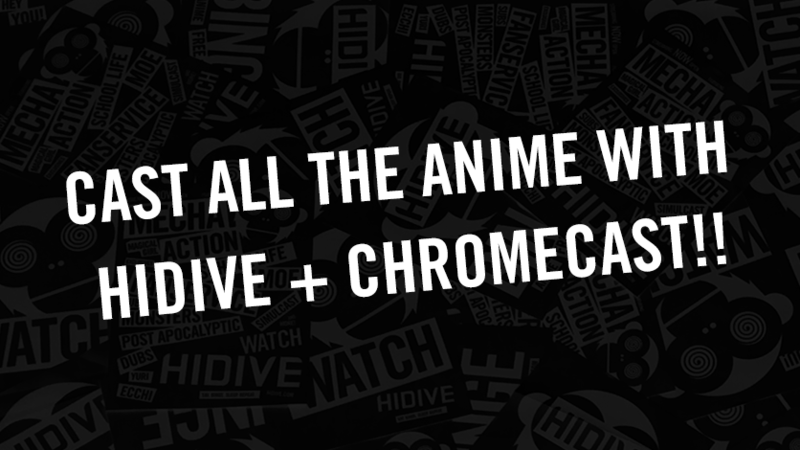 Streaming service HIDIVE have announced that their support for Google Chromecast is now available! The streaming video application will be available on the 1st, 2nd & Ultra generations for Chromecast. HIDIVE have clarified that subscribers will also be able to watch their content through Chromecast-connected and enabled smart TVs. You can view the Google Play app page here. HIDIVE offers over 230 anime titles including the Summer 2018 series 100 Sleeping Princes, Mr. Tonegawa Middle Management Blues, Revue Starlight and The Thousand Musketeers, as well as catalogue titles like Armored Trooper Votoms, Glass Mask 1984 and the DanMachi OVA. A combination of live-action and anime are now available!